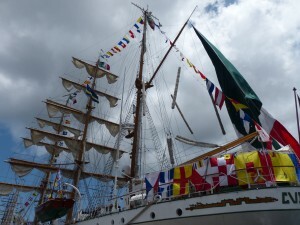 WILLEMSTAD - The large tall ships that are still in St. Anna Bay left for Cartagena in Colombia this morning. This brings an end to the Velas Latinoamérica Curaçao 2018. The ships first sail to the Caracas Bay and then leave in a column about an hour or so along the south coast towards Westpunt. The next edition will be in four years.